You may communicate with us anytime using the button below or email us at concier[email protected] – we’re happy to help! Designed by Pete and Roy Dye and rated among the world’s 100 best courses by “Golf Digest” magazine, this amazing 18 holes championship golf course offers a constant challenge in each of its holes because the Salahua River forms bends that make unique each shot. The exciting 18th hole known as "The Island of million dollars" is the best way to finish your game at this amazing place. 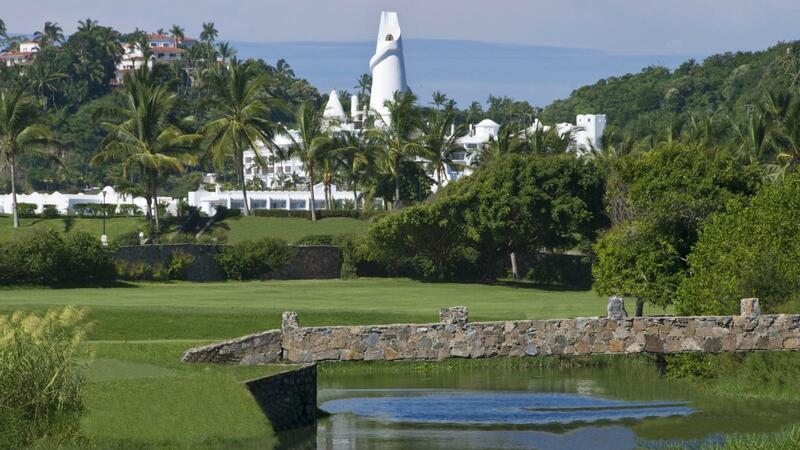 It is definitely one of the world's most beautiful tropical golf and if you're a guest of Hotel Las Hadas, it provides complimentary shuttle service to the Golf Course.